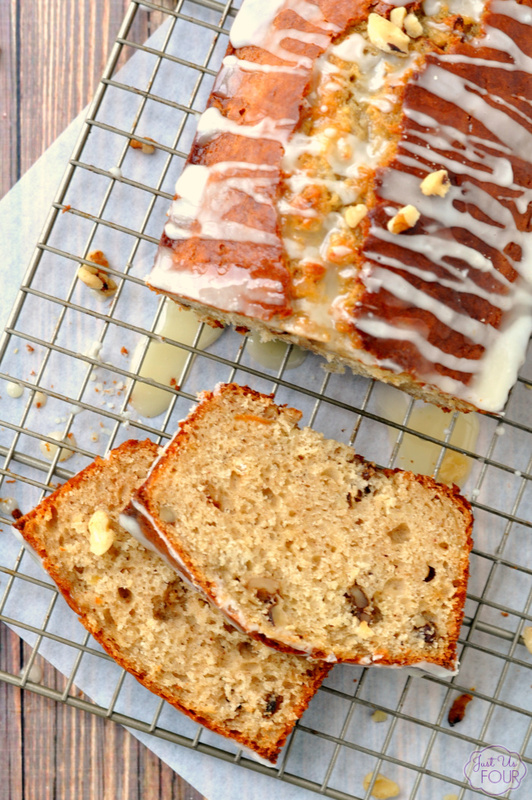 Green Tea Walnut Quick Bread is so easy to throw together! 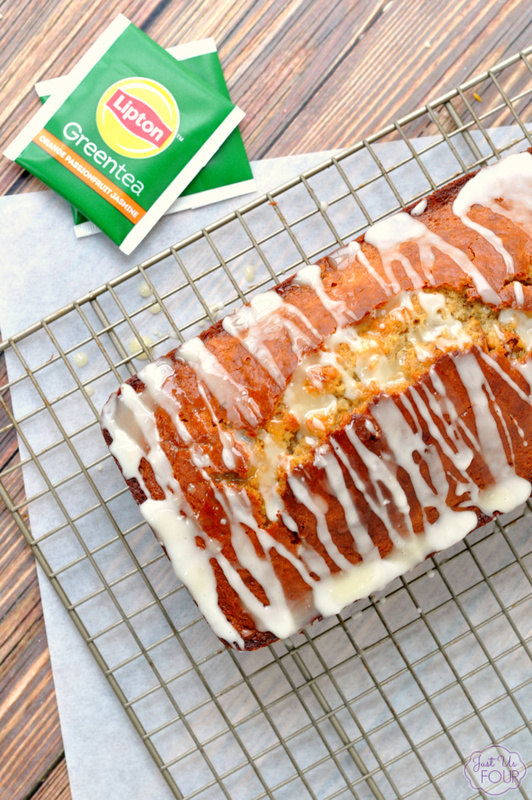 All you have to do is start by brewing a cup of tea to make this delicious green tea cake. It is the perfect way to spend an afternoon or to enjoy as an after dinner treat! 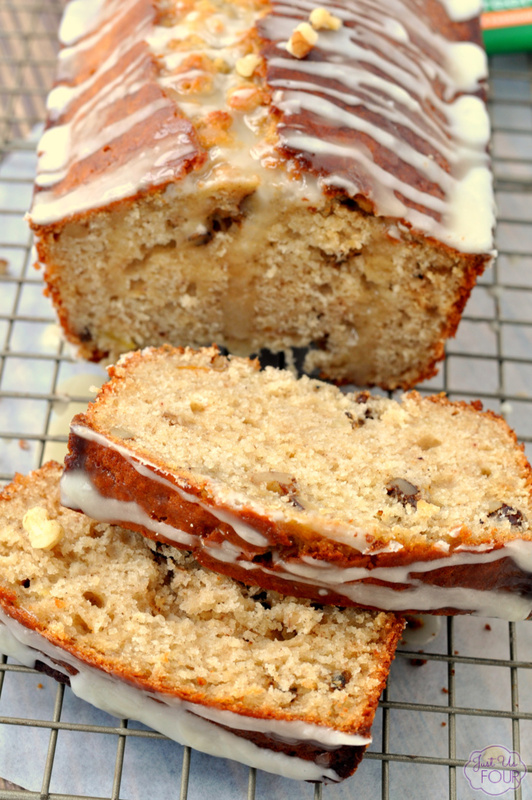 This quick bread will become a new favorite! Growing up, there was always tea our house. My dad was an avid iced tea drinker and had tea with just about any meal. Both my grandparents work for Lipton tea so that was all we ever bought. Now, as an adult, I don’t drink tea nearly as much but I love enjoying a cup in the evening or using it in recipes like this green tea walnut quick bread. The great thing about tea is that it is good on its own or even along with a piece of bread or cookies. 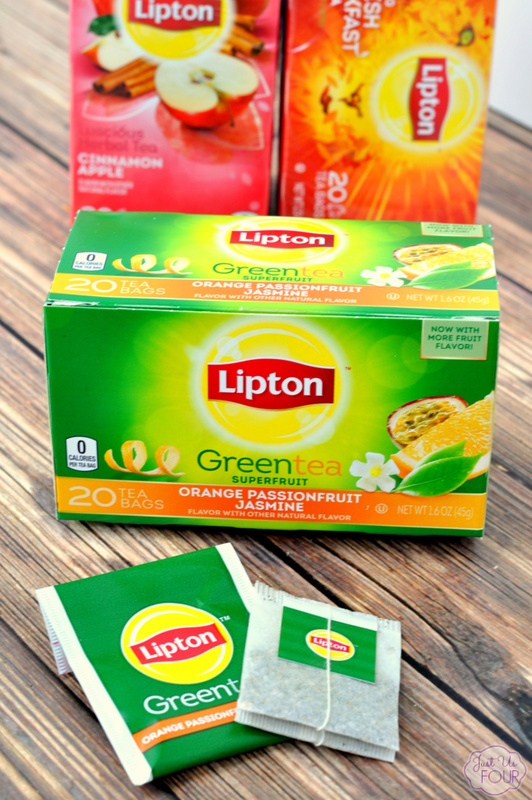 Lipton tea has so many delicious new offers that include herbal teas, black teas and green teas. I keep a few boxes in the house at all times so that, especially when my father in law visits, we can brew up a few cups easily. Lipton’s new black and herbal varieties and improved green teas refresh the tea experience with bold and stimulating flavors, such as Enticing Chai, Pure Green, Orange Passionfruit Jasmine and Peach Mango. 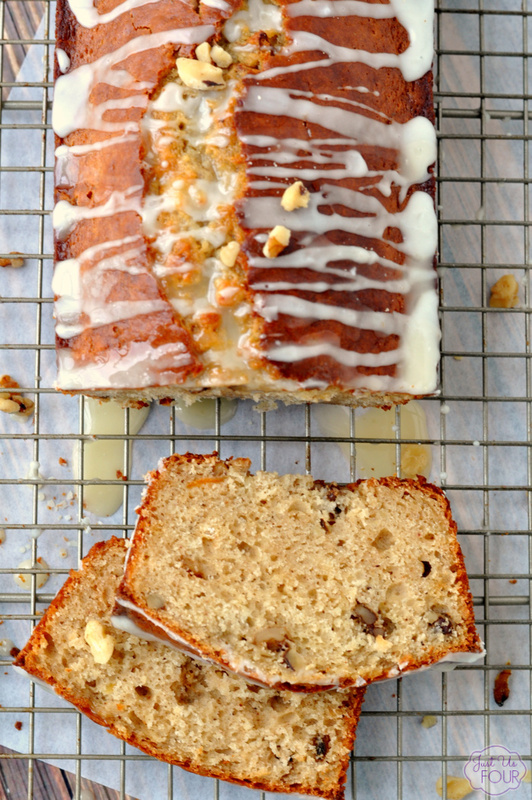 I used the orange passionfruit jasmine green tea in my green tea walnut quick bread recipe. 1. Place three tea bags in boiling water. Let steep for 3-5 minutes. Remove tea bags and let tea cool. 2. Preheat oven to 350 degrees. Spray a loaf pan with nonstick cooking spray. Set aside. 3. In a large bowl, combine flour, baking powder, baking soda, salt and all spice. Stir to combine. 4. In a separate bowl, combine sugar, buttermilk, walnuts, butter, oil, marmalade, eggs and 3 Tbsp of tea from step 1. Stir well. 5. Stir wet ingredients into dry ingredients. Mix until just combined. Pour into prepared loaf pan. 6. Bake in preheated oven for 40-45 minutes or until toothpick inserted comes out clean. Let cook in pan for 5-10 minutes and then cool completely on wire rack. 7. For glaze: stir together powdered sugar and 2 tsp tea until smooth. Drizzle of cooled bread. If you want a little extra jolt of tea, steep a tea bag in the melted butter before adding to the recipe. I usually let mine sit for 2-3 minutes. This bread is the perfect thing to pair with a cup of tea. If you are looking for a new one try, grab a box of one of the new Lipton black teas which feature bold aromas and unique flavors to put a twist on traditional black tea. 7. For glaze: stir together powdered sugar and 2 tsp tea until smooth. Drizzle on cooled bread. this looks so delicious! I love that you also used the tea in the glaze too, perfect with a cup of coffee! What a gorgeous bread this is! I always judge by the classic crack down the top, and the crumb looks beautiful. I can only imagine how it tastes!